Did you know that Sprint Motorsports does Fender Rolling? For us car enthusiasts, fender rolling is often necessary when we wish to maximize tire and wheel size on the car, or we wish to widen our car’s track. There are also those of us who want to add aggressive style to our cars by broadening the shoulders a little bit. Some us like to stance our rides and install air suspension systems or lower the car on coil overs and need to roll and pinch the fenders just right. 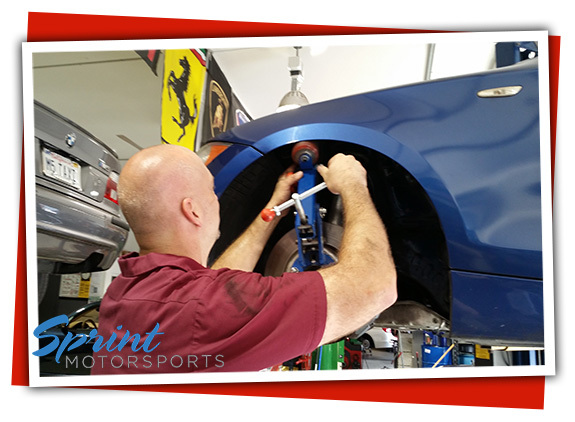 Sprint Motorsports has been rolling fenders on cars since we first opened in the year 2000 under the name RennWerks. We have rolled more fenders than we could possibly remember. Fender rolling requires proper technique that is developed over years of experience. Fender rolling is an art. It takes time and a keen eye for detail to get it right. It requires a special feel for the metal stretching and the forming process that is only learned over many years of metal fabrication. Avoid subjecting your car to an inexperienced shop. We have implemented methods and processes to reduce and eliminate waviness in the sheet metal and special techniques to prevent and alleviate paint cracking. Whether you want a mild or cosmetic fender roll or want to go extreme, we can help. When you desire fender rolling, give us a call. We will inspect your car, address your needs, and recommend the amount of fender rolling that your car requires for a given application. We will walk you through the process and thoroughly explain what to expect with your desired amount of fender rolling. Sprint Motorsports celebrates the glory of the automobile in all its forms. We take pride in caring for our customers, and are invigorated by the opportunity to provide competent and comprehensive automotive repair services. 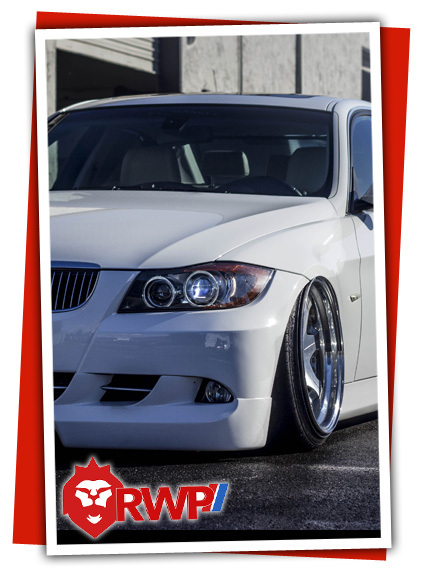 We are the leading auto repair, tuning, automotive performance, and race facility in San Jose and surrounding areas. We believe in providing you personalized, detailed, and friendly service. Our relationships with our customers and their cars are built on trust, communication, integrity, and commitment to our purpose to be the best service and auto repair shop. To schedule an appointment for any automotive service, major or minor service, please contact service@sprint-motorsports.com or 408-831-3730. We welcome you to stop by our auto repair shop located at 2099 S 10th St, Unit 40, San Jose, Ca 95112. If you have any questions about your car’s performance, automotive repair needs, or maintenance, don’t be shy about asking our friendly staff for assistance.